Barbara is absolutely amazing. From the beginning she was able to address my questions and send us examples of what multifamily properties were available. This was exceptionally important to me since I live out-of-town and am not too familiar with the area. She was always available. She made me feel comfortable and obviously knew the market. I intend on using Barbara for all of my future purchases. Homes for Sale in Killeen TX provided exceptional relocation services. Barbara, the owner, was wonderful to work with. I searched for real estate agents on the internet and contacted 3 different agents to see if they could help us. Barbara emailed us within an hour ! Another agent contacted us 2 days later and the other one never replied. Barbara showed us homes she found that met our budget and were in areas we preferred. She never rushed us, provided valuable information, and was with us from start to finish. We love our new home and our new big screen television that Barbara gave us ! We were buying our first home. USAA referred me to a real estate agent who did not want to work on weekends and only showed us one house. She never made any other contact with us so I searched the internet and found Barbara. She made everything so easy. She is so patient and kind and did not want us to make any quick decisions . We couldn't have asked for an easier process. I will recommend her to everybody I know who is moving to Fort Hood. Ms. Barbara was awesome! She was always very prompt with her replies when we had questions. She listened to what we said we wanted and then she explained what was available in the areas we were interested in. After looking at home descriptions that Barbara provided us, she drove us around to look at all the properties we were most interested in. We had so many questions and Barbara could answer all of them. I definitely recommend Ms. Barbara to anyone who needs a very experienced and likable realtor. 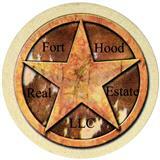 We highly recommend that you use Fort Hood Real Estate when purchasing a home in the Harker Heights area. The owner, Barbara Leverenz, patiently answered all of our questions and concerns and provided sound advice from her many years of experience in this area. We love our new home. I relocated to Harker Heights TX for retirement. Barbara helped me find my new home. She provided professional assistance. I highly recommend Barbara and Fort Hood Real Estate. I am moving to Fort Hood and wanted to buy a home. I emailed Fort Hood Real Estate and received a fast reply. I told Barbara, the owner, what I was looking for. She sent me information within 2 hours. I asked questions related to several homes I saw and she answered all of my questions. I drove to Killeen to look at the homes and I found one I liked. I told Barbara I wanted to buy it and she asked me to think about it overnight. She also recommended that I drive around the neighborhood later that evening before making a decision. I liked what I saw and bought the home. I love it and am looking forward to moving in ! Wow! 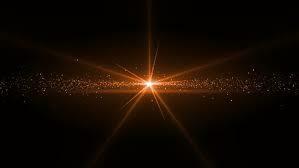 What an amazing job in a professional and positive way that defies comprehension ! We shall be forever grateful to you and the wonderful job you did representing us and our house in Izoro ! God bless you and yours ! I was born and raised in Texas but left for a good job. I just recently was offered a job in central Texas and will be moving back soon. To prepare for my move, I found Barbara Leverenz on a Google search and asked her to help me find the home I wanted. She was very patient, answered all my concerns, and showed me many houses to ensure I saw everything that was available. When I found the right one, she was a great asset to guide me through the entire home-buying process. She's fantastic, and I recommend her services to anyone interested in buying a home. Barbara Leverenz showed us exactly what we wanted to see. They were all in our price range. She took the time to get us preapproved for a loan at no cost or obligation and was familiar with VA loan requirements and benefits. Her experience in real estate and with the Fort Hood area was incomparable and invaluable. Barbara helped me find my new home in just 3 days. Worked late hours to make sure I saw every home I wanted to see. VERY positive attitude and not pushy. Barbara assisted me with buying a new home in Nolanville. Most of our communication was done via long distance due to my out-of-town residence. I relied on Barbara's reputation, information, and pictures of the home and neighborhood to make my decision to purchase my new home sight unseen. Although I still maintain another residence out-of-town, I know that my family has a nice home in a safe neighborhood when I am away. Barbara assisted us with the purchase of the land on which we were going to have our house built. She then assisted us with the design of our new home and inspecting the new home as it was being built. Our new home is valued at 1.75 million dollars so we wanted to make sure everything was "right". Barbara brought issues to our attention that we didn't catch. The assistance she provided exceeded our expectations. I was looking for investment properties in the Killeen area. Nobody was showing me what I wanted to see until I found Barbara. She showed me properties that met my criteria and price range. She assisted me with obtaining financing and has worked through several bureaucratic delays to ensure I was getting what I wanted. I highly recommend Barbara.